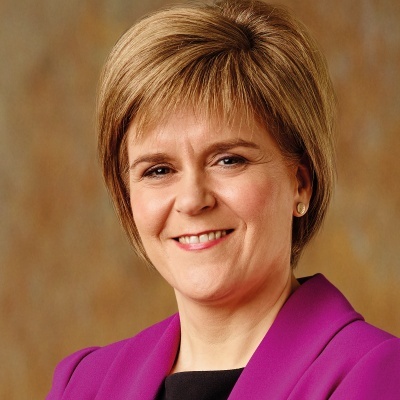 Below is a speech given by First Minister Nicola Sturgeon to the Scottish Women’s Convention on the week of International Women’s Day. Check against delivery. I’ve attended several of these Conventions now, and it’s always wonderful to see this chamber so full of capable, inspiring women. In fact this event is now firmly established as a highlight of the International Women’s Day celebrations in Scotland. One reason for that is that, as well as addressing important issues here in Scotland, there is also usually an international dimension to the event. I’m delighted to welcome Annie Hill today – and like all of you, I very much look forward to her speech. And of course the Convention helps women’s voices to be heard on key policy issues – not just for one day in March, but all through the year. We’ve seen that again during the last 12 months in the roadshows you’ve hosted, the consultation responses you’ve prepared, and the major conference on harassment you organised in January. Through all of that work, you are playing an important role during a momentous time for women’s’ rights. In my remarks this afternoon, I’ll touch on many of the issues that the Women’s Convention considers and campaigns on. And I’ll do that by reflecting on three of the parliamentary debates that have been held in this chamber in the last six weeks or so. All of them, in different ways, have highlighted different elements of the ongoing need for gender equality. Just over a month ago, we celebrated the 100th anniversary of Royal Assent being granted to the Representation of the People Act. That Act, of course, recognised the right of some women to vote. That morning, I had chaired a Cabinet meeting at the Scottish Government’s offices in St Andrew’s House, less than a mile from here. As many of you will know, St Andrew’s House was built on the site of the old Calton Jail. Suffragettes were jailed there in the years before World War I. One of them, Ethel Moorhead, was the first woman in Scotland to be force-fed. So it was a genuinely special moment to arrive in that location and see the suffragette flag flying, before chairing a meeting of a gender-balanced cabinet. The Scottish Parliament then held a debate where I spoke in this chamber as a female First Minister, and listened to a reply from a female leader of the opposition. And at moments like that, it’s hard not to reflect – as I’m sure many of you have done – on how far society has come over the last century; and how much all of us owe to the sacrifices and struggles of the suffragists and suffragettes. I got a similar feeling on Thursday when I saw pictures of the unveiling of the Mary Barbour statue in Govan. She’s a personal hero of mine – as you most of will know, she led the Glasgow rent strikes during World War 1. And it’s brilliant that these amazing women and their stories are maybe just starting to get the attention, the recognition and the monuments that they so richly deserve. But of course, being in the chamber for the centenary of women’s suffrage also provided a reminder that we have much more still to do. Only 35 per cent of MSPs are women – that’s actually a smaller percentage than were elected to the Scottish Parliament in 1999. For my own party, the figure has increased to 43 per cent – but like all parties, we still have more to do. And the report published last week into sexual harassment within the parliament provided an important, if deeply depressing, reminder that this institution – and all of the political parties within it – needs to do much more to provide a truly safe and equal working environment for women. And of course, when you look beyond this chamber, it becomes even clearer that we still have a huge amount more to do. We won’t have true gender equality while women are regularly paid less than men for the same work. We won’t have true equality while women face barriers to promotions, and while gender stereotyping still constrains career choices. We won’t have true equality while sexual harassment, sexual abuse and violence against women are all so prevalent. The World Economic Forum publishes a gender audit each year – they assess progress across the globe towards gender equality. Last year’s audit found that – at the current rate of progress – economic gender equality was 217 years away. There were some qualifications to that picture, in Western Europe, we might be a bit nearer. But the overall picture is clear – in the 100 years since women got the vote, the pace of progress to full equality has been glacial. And that’s despite the fact that there is a clear consensus on the benefits that equality can bring – for men as well as women. The same World Economic Forum report I’ve just mentioned cites evidence that full equality could boost the UK’s GDP by £180 billion. That’s almost £3,000 for every person in the country. Gender equality will always be first and foremost a moral issue. But the economic arguments behind it are also compelling. Inequality impoverishes us all. That’s a further reason, of course, why promoting equality is the responsibility of all of us – men as well as women. And it also reinforces the fact that the theme of today’s conference – press for progress – is important and necessary. Quicker progress towards true gender equality is a moral, social and economic necessity. I am determined that Scotland will lead that progress. The week before the centenary of women’s suffrage, there were two other debates in this chamber that I want to mention. At the end of the first, we passed the Gender Representation on Public Boards Bill. That requires public sector bodies to ensure that at least half of non-executive board members are female. The Scottish Government has argued persistently for gender equality on boards. That’s why we established the Partnership for Change in 2015. It encourages organisations to aim for 5050 by 2020 – to achieve gender parity on their boards in two years’ time. The partnership currently has more than 200 members. They have signed up, not simply because it’s the right thing to do – although it is – but because they recognise that diversity will benefit their individual organisations. But of course, if we’re going to make that case to the private and third sector, the public sector has to lead by example. We are now doing that. And our action on board membership is part of a much wider campaign for equality in public life and in the workplace. Now, in some respects, this is actually an area where Scotland already has a relatively good record. The employment rate for women in Scotland is higher than in the rest of the UK, and the unemployment rate is lower. Our full-time gender pay gap stands at 6.6 per cent – it’s 9.1 per cent for the UK as a whole. But 6.6 per cent still isn’t good enough. I was born in the year when the Equal Pay Act was passed. It is unacceptable that women across the UK still don’t receive equal pay for equal work. If we allow the situation to continue, we will be failing the girls and young women of today. That’s why the Scottish Government is requiring public sector organisations with more than 20 employees to publish details of their pay – again, it’s an important way of trying to ensure that we practice what we preach on equal pay. We’re also trying to overcome some of the barriers which reduce the likelihood of women getting into senior or promoted positions. For example our Returners Programme helps women to re-enter the workforce after a career break. We’ve also set up a working group to advise employers on good practice when women come back from maternity leave. Our expansion of childcare will also have a major impact. Within three years, we will have doubled the amount of free early education and care which is made available to 3 and 4 year olds, and 2 year olds from relatively deprived backgrounds. It’s a change that will help to give those children the best possible start in life. And it will also help all parents, especially mothers, to contribute fully in the workplace. And when it comes to encouraging potential future leaders, in addition to the policies we implement, I’m also trying to set a personal example. For the last year, I’ve acted as a mentor to Charlotte Liddell, a remarkable young woman from Fife. I hope the experience has been valuable for her. It has certainly been educational and enlightening for me. So I’ve decided this year to do take on another mentee. And it’s been great to see on social media, and in conversations, how many other women are also investing their time in mentoring. It’s a very simple way in which each of us, as individuals, can help other women to achieve their potential. It can be highly effective, and deeply rewarding. The final employment issue I want to talk about is gender segregation. Even in 2018, far too many people’s career choices are still being determined by society’s stereotypes, rather than their personal qualities. To give just one example of this, last year, 96 per cent of childcare modern apprentices were women, while 94 per cent of engineering modern apprentices were men. Now, you’ll hear from Talat Yaqoob, director of Equate Scotland, on the discussion panel later on this afternoon. We’re working with her organisation, Equate, to address these issues. For example the careerWISE programme offers female undergraduates paid work placements in science, technology, engineering and maths. In addition, Skills Development Scotland is working with industries such as construction, and organisations such as the Institute of Physics, to raise awareness of the opportunities in subjects and economic sectors where women are underrepresented. It also supports the use of recruitment materials which don’t perpetuate, even inadvertently, gender stereotypes – which can encourage female applicants rather than deterring them. And there is a crucially important point in all of this. We need more people to work in professions such as childcare and social care in the years and decades ahead. So our public services will be harmed if we don’t recruit talented and committed men in those fields, as well as talented and committed women. And of course the converse of that is also true. The Scottish Government’s economic strategy is based to a large extent on promoting innovation. We want to invent, develop and manufacture the key products and technologies of the future, rather than simply consuming them. So we cannot afford to pass up on the contribution that women can make to driving the technology, engineering or life science advances of the future. Instead, we have to harness the skills and talents of all of our people. We cannot afford inequality within our economy, and we should not tolerate inequality within our society. And of course the economic equality we seek will only be achieved if we attain equality in other areas, too. A particularly important area is violence against women – it is, after all, both a symptom and a cause of wider inequalities in society. So the third and final debate I want to talk about is the one which took place in this chamber at the end of January, when the Scottish Parliament passed the Domestic Abuse Bill. The Bill has been acclaimed as setting a new gold standard in protecting women from coercive and controlling behaviour. It was supported by every single member of this parliament. It’s passage was a genuinely proud moment for this chamber. I’m grateful to all of the groups – some of whom are represented today – who campaigned for the legislation, and who helped to get the provisions of the bill right. The legislation is part of a much wider range of work. Four months ago we published a delivery plan for our Equally Safe strategy – it sets out more than 100 actions for preventing and eradicating violence against women and girls. And we are investing significant sums to tackle violence against women, and to improve the response of the justice system and specialist services, when they work with women and children who have experienced violence or domestic abuse. It’s maybe also worth mentioning that in our international development work, representatives from Police Scotland provide advice and assistance on these issues to their counterparts in Malawi. The programme there has been a success – in fact, Police Scotland are also now working with partners in Zambia. By doing so, they are helping to tackle violence against women in those countries. It’s a good example of the way in which our international development work consistently emphasises the importance of protecting and empowering women. And it shows that we are determined – not just to achieving equality in Scotland, but to do our bit in promoting equality around the world. In all of the work we do to promote gender equality, the Scottish Government now benefits from the wisdom of our Advisory Council on Women and Girls. I announced the establishment of the Council at this event last year, chaired by Louise Macdonald. I spoke to the Council when it met last Tuesday. They talked about their strategy, and their focus for this year on the hugely important issue of attitudes and culture change. They also left me in no doubt that – as I would hope – they’ll be prepared to challenge and criticise, as well as advise and support. Overall, I know that they will be an invaluable help, as we seek to make progress towards gender equality. And of course, that’s hugely important. From a gender equality perspective, much of what we’ve seen in the last year has been hugely depressing. I mentioned the World Economic Forum’s analysis earlier. We’ve also seen evidence of deeply entrenched pay differentials – for example at the BBC and other employers. And of course there has a consistent stream of reports of sexual harassment and sexual abuse. But those stories also, in their own way, contain some grounds for optimism. In some cases, at least, what we are seeing is that behaviours and practices which might previously have been hidden are now being exposed and made public. And we have also, perhaps most encouragingly of all, seen a reaction – for example the #Metoo and #TimesUp movements – which gives hope for real and lasting change. At the moment, public scrutiny of discrimination has never been higher. And public tolerance of it has never been lower. That gives us, not just an obligation, but also a huge opportunity. I’m determined that the Scottish Government will take advantage of that opportunity, of that momentum for change; that we will work to remove many of the challenges and obstacles that women still face; and that we will make significant progress towards achieving gender equality. In doing that, it is a huge strength to know that we will be supported – and frequently challenged – not just by the Advisory Council, but by organisations such as the Scottish Women’s Convention, and the many other groups who are represented here today. Together, I’m confident that we can create a fairer and wealthier society here in Scotland. We can play our part in promoting equality around the world. And we can honour – in the most meaningful way possible – the memory of heroes such as Mary Barbour; and the suffragettes and suffragists who struggled for the rights we take for granted today. So I am delighted to be here once again. I wish you all well for a successful event. And I hope we can look forward to a year in which together, we press for progress – rapid, significant and lasting progress – towards real gender equality.